As we fight tooth and nail to win back the US Senate, it is vital that candidates not indulge personal ambition to the detriment of the clear national interest in electing a Republican majority in 2010. In Florida, Governor Charlie Crist — who I have supported and even advised in the past — has been running in a fairly fought primary against Marco Rubio for the Senate. Rubio, backed by major conservatives, has opened a decisive lead over Crist of about 2:1. Now Crist is reportedly considering quitting the primary and running as an Independent, making it a three-way race. By splitting the Republican vote and running as a third candidate, Crist may just elect a Democrat — Congressman Kendrick Meek, one of the most radical members of the House. That would be a tragedy and could well cost us the Senate. We think it is not fair to fight a primary and then run as an Independent just because you were losing. (Joe Lieberman did it but he was seeking re-election. Here Crist would be running for a new job. Also there was no danger that Joe would cost the Republicans a seat). If you live in Florida, please write or call Crist to tell him NOT to run as an Independent. 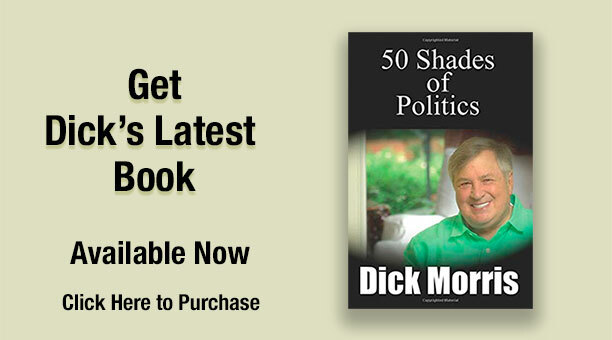 Go to DickMorris.com to get all the addresses and phone numbers of Governor Crist’s office and of his staff. Let them know how you feel!